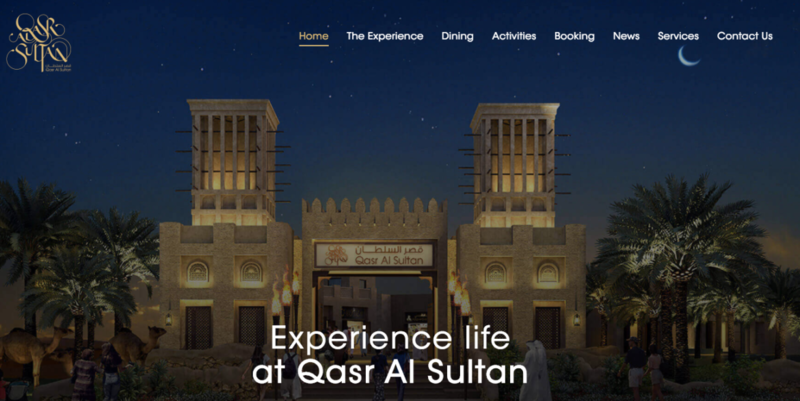 We’re pleased to announce the beta launch of our client Meraas‘ Qasr Al Sultan website. The Qasr Al Sultan website experience much like the real life experience allows you to step back in time to an era where it all began…where luxury and Arabian hospitality were one and the same, where visitors from all across the seven seas travelled for days just for a glimpse into the glorious life at Qasr Al Sultan – the sultan’s palace. So leave the busy city far behind, as you enter a world of magic, fantasy and true Arabian hospitality at Qasr Al Sultan. It’s more than just a meal, it’s your glimpse into life like a Sultan. In addition to re-launching the Meraas Corporate website in September, last month we helped launch the Outlet Village website and earlier this month we also re-launched two existing properties including THE BEACH, BOXPARK and Kite Beach.